Concatenation refers to the operation of joining values together to create a text string. 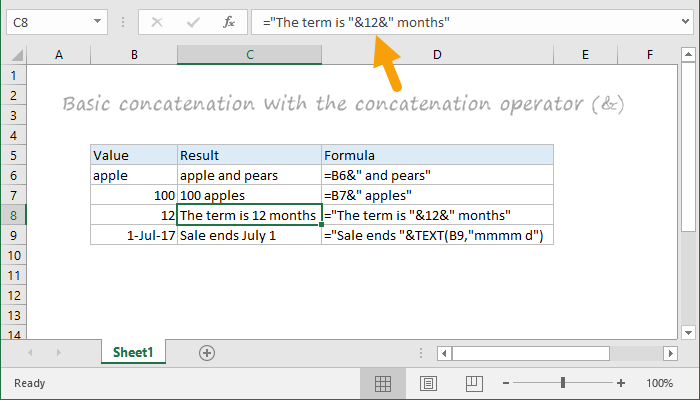 In Excel, you can concatenate with the concatenation operator, which is an ampersand (&) or by using one of several functions for concatenation. ="The term is "&12&" months"
Note that in the last example, we are using the TEXT function to format the date in B8 as a date in "mmm d" format.